Visualize My Thoughts – Page 2 – My life. A journey into self-fulfillment. Almost two years ago (wow, time passes by…), when I just joined Emara as the Director of Interaction Design, a big project was just kicked off. 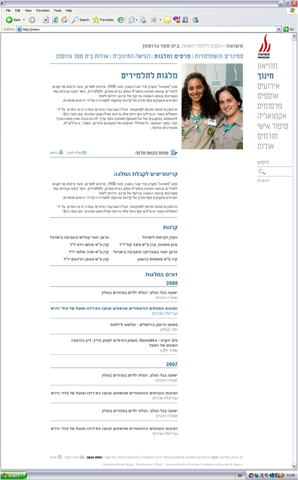 It was an ambitious plan to completely re-design the Massuah website. 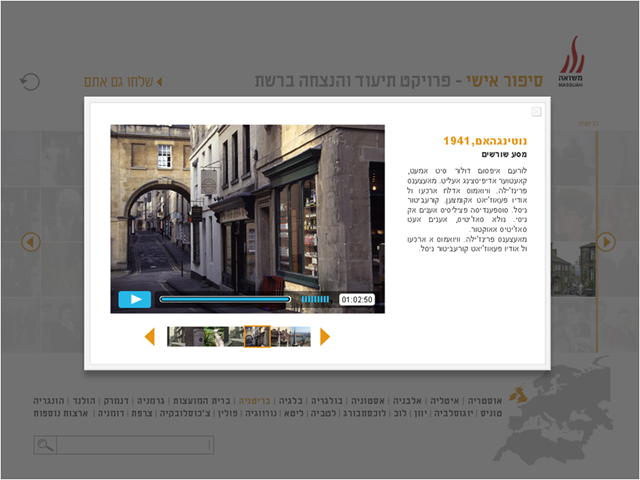 Massuah is a museum dedicated to the Jewish Holocaust that happened during the 2nd World War. The project was ambitious not only because of the website’s size, but also because of their progressive view of the issue. Massuah Museum approached this delicate subject with nothing less than boldness. In the same spirit we wanted to create a different experience, not dark and depressive but updated and fresh. We wanted to create an experience that will attract young people, we wanted to provoke thought. 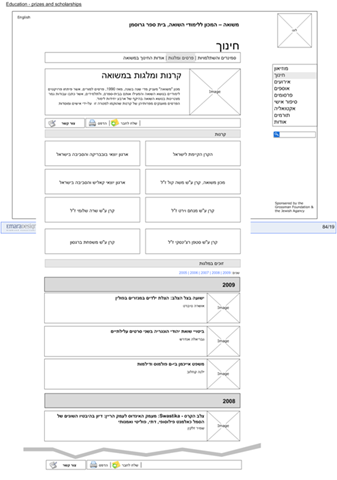 Despite all the pitfall we managed to deliver the wireframes and the visual design,but the disputes continues for about 4 more months. 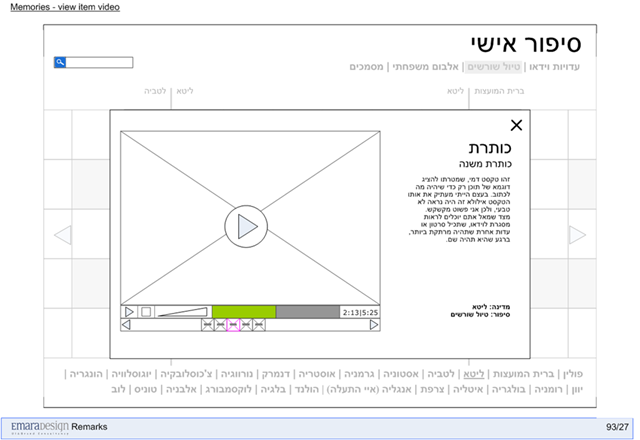 After another 12 months of work by CDTech Massuah’s website is live. The implementation happened with us out of the loop (after all the Emara was sold already), so there are many nuances that weren’t developed as designed. Nevertheless, I think the final result is pretty good, and the main objectives of the project were achieved. 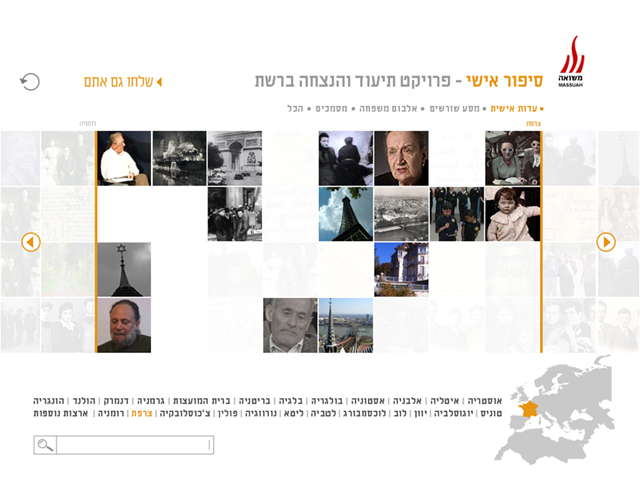 I’m especially proud with the virtual exhibitions: What was the word Holocaust, and Stories. This page had so many iterations I wanted to cry. 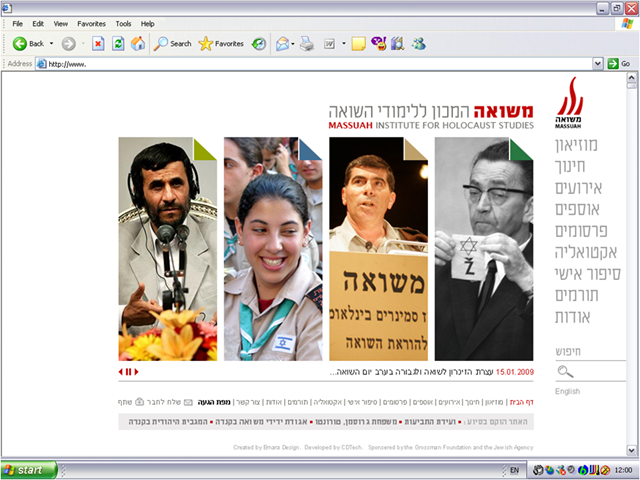 These 4 cards (initially designed as only 3, but the customer insisted on 4), were designed to be implemented with Flash: the cards should roll and reveal their other side when rolling the mouse over them, to call for action and to expose the users with relevant content right in the Home Page. 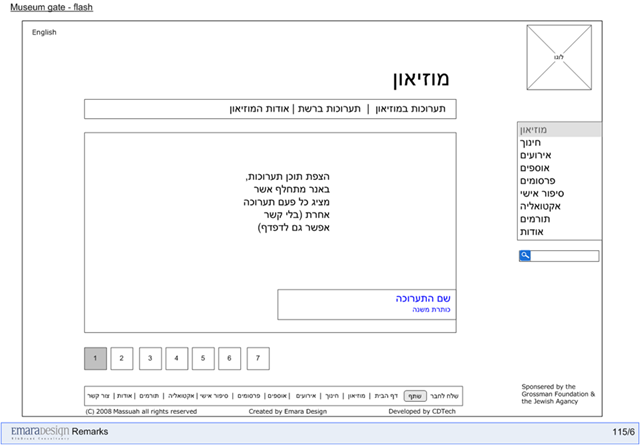 Unfortunately this page was implemented with HTML only, so the experience is not at its best. If we knew they won’t develop it in Flash we would designed it differently. 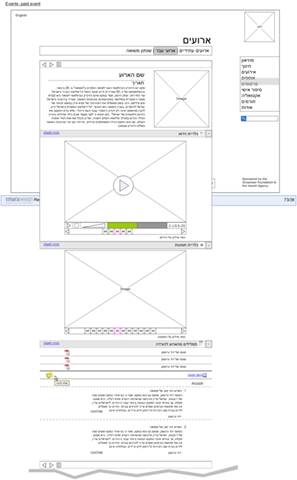 This page was planned to be a simple revolving banner, to expose museums exhibitions. The customer insisted on a design she wanted, and this is the result: A more complex and noisy experience, as we expected (an alerted) it to be. 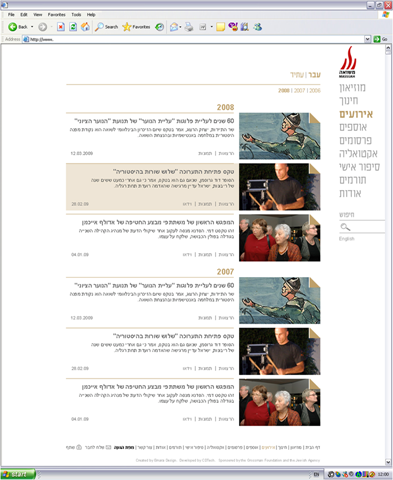 The events page was designed to be a generic list that would be used in several page in the websites. It worked well. Nothing interesting to say about it. Each item in the event list was designed to be a link to the event page. This page contains some description, optional video gallery, photo gallery, documents and even comments mechanism for after even discussions. I went through all the events and the only one that contained most of this objects was this one. I haven’t found the comments anywhere though… still the pages look nice and clean. A simple list was not enough and although we wanted to design simple clean pages, our customer seemed to add more and more content and requirements every meeting. 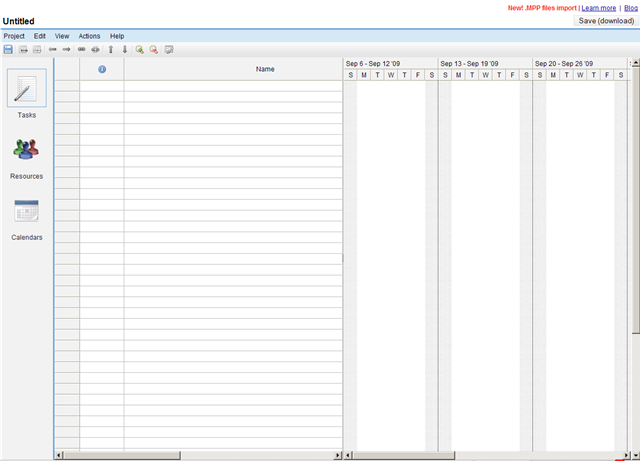 This page was required to hold a title, functions (like print, send a friend), and two kinds of list (one above the other): a two column list and a generic simple list that was designed above. Each list item should have been a link to another page… Sounds awful? Well, it was implemented much simpler (this is good), but with no care for details (that’s not so good). See for yourself. 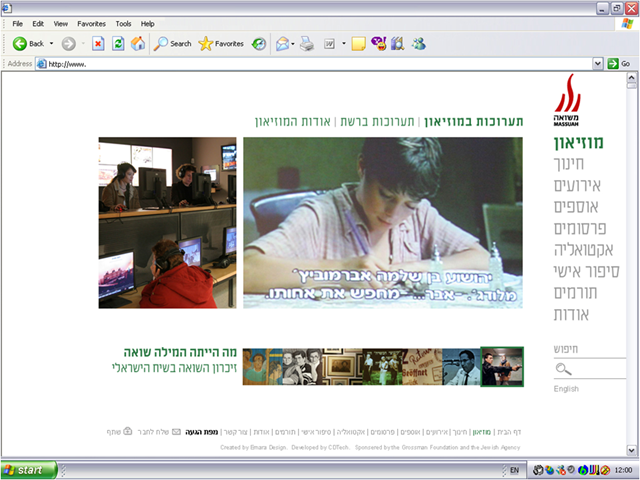 This is one of the 2 virtual exhibitions implemented with Flash. I feel they are the pinnacle of the website (and it’s bad they are not so visible on the homepage). This exhibition is supposed to be a strip puzzle created of hundreds of personal stories. I think the navigation works well, and although there are some implementation errors, it creates an interesting user experience. This was a virtual representation of a physical exhibition. In the design we used the 3rd dimension as the timeline, thus creating a feeling of movement inside and outside – the past and the present. I think it was designed and implemented pretty well (not without flaws of course). Looking at it now, I would add some music and sound effects to make it more intense. Be precise about the customer needs. Talk to your client, look at his current website, understand his plans for the new website, understand what he really needs (to understand what he wants is not enough). Don’t work without requirement docs that both sides agreed about. It’s better to write them together, after you understood his needs (see previous bullet). This is especially important in a big project. There are clients that will continue pouring new requirements on you. Last weekend (January 29-30th, 2010) I participated the Global Game Jam 2010,a 48 hour event of game development with a bunch of guys you may never worked before. It was my second time (and here’s the post about the Global Game Jam 2009 event). This year’s theme was Deception, and the game should have incorporated at least one of these elements: a room, a broom, and a loom. Evil Pigeons is the result: A 2-player game between an evil pigeon master and a mad car owner. Although it was an exciting experience, I felt kind of disappointed. It is not the event that disappointed me, it was myself, my own experience. There were things that bothered me, irritated me, and I was mainly angry with myself. When things like that happen I try not to drown in the bad feelings. It’s better to use these feelings to learn a lesson in life. So the experience was not as good as I expected. The question is why? And what can I do to make it better next time? I developed (another) game. The core mechanics are operational, it has great art, and it delivers unique (and even fun) game experience. It still amazes me how much can be done in such a short time with focus and a great team. 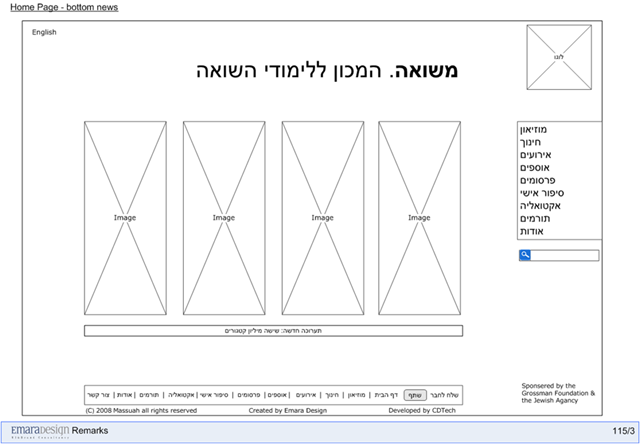 I lead the team that consisted of a programmer (Alon Levy) and 2 artists (Omer Nainudel and Ori Cohen). Originally, it was a one player game where you needed to identify a target (a fat rabbit) out of other dummy figures (fat cardboard rabbits) and shoot it. Later the idea transformed into a 2-player game where one of the players controls the real target (now became an elephant riding a broom) and the other figures, that look the same, are controlled by the computer. The competition is between the player that tried to identify the human-controlled elephant and shoot it, and the human that controls the elephant, and need to eat – together with all the other elephants – all the peanuts in the screen. This idea later was transformed again into our game (Evil Pigeons) and another game (Fake Out, which is a competition between a thief and a cop). I wasn’t dead tired. As last year I had even the time to get a good rest during the night. In retrospect I feel we didn’t do enough brainstorm. Too early I pressed to have a decision and go for the execution. I think we could invest a little more time in it. I wasn’t productive enough during the brainstorm. We had only one good idea, and I already learnt from Pixar’s CCO “Never to come up with just one idea”. I wasn’t prepared enough for the occasion, and trusted too much on getting a great idea without any technique. And there are some simple and easy creative techniques that can be utilized to generate ideas. Team spirit – most of the time we didn’t work together. We worked as a full team only until Friday afternoon. After that I worked face to face with Alon and through Skype with Omer and Ori. It worked well, but it wasn’t as intense and as fun as it was last year. We created the game concept and the art, but we didn’t have any sound designer, so I used free music and sound effects that I found on the web. It wasn’t bad, but still it wasn’t as fun as creating the sound effects by yourself. This is the main reason I am so pissed off. I just blew the moment. I could touch so many human moments there: the common memory of pigeons shitting your car, or the game experience that has some dare feeling. But I didn’t. I came to the stage not ready enough, got stage fright, forgot my team mates names, and presented the game like a teenager (I felt like I was again in my Bar Mitzvah). The game concept also was not clear enough because we didn’t rehearse, so when people so us shooting pigeons they didn’t understand the unique experience of the game. That’s it. Few issues that damaged my feeling of achievement. Don’t rush the brainstorm. It is the most important phase, and the most fun. It should be managed and focused, but it is important to get to an inspiring idea. Use creative techniques. You might stumble upon a great idea just by yourself, but there’s no reason to be ashamed of using techniques to help you think. Mingle. It is, after all, an opportunity to work with people you never met before. As we saw at the presentation event – there are a lot of talented people who want to create games. Work together. Try to work as a team, together, on site. Bring your PCs. It is much more fun to work together, to see the game developed right in front of your eyes, to get feedback in real-time from all team-members, for smoother communication. Make your own sound effects. If you have the time – do it. It’s fun. It’s original. Of course, you can use free sound effects, but you will be more proud of the result. A week after I wrote these words, I can say the experience wasn’t as bad as it sounds. Still, the lessons learnt are good. Also I played Evil Pigeons with many friends since than and got great feedback. The experience is unique and fun. So I am proud after all. After the long survey I found few distinct categories from a feature-list perspective. This is, probably, the simplest solution on the web. Actually it is so simple I was surprised when encountered it. Yet, they have some productive value. All you have to do is drop a line (a task) and an email to someone (even yours). That’s all. 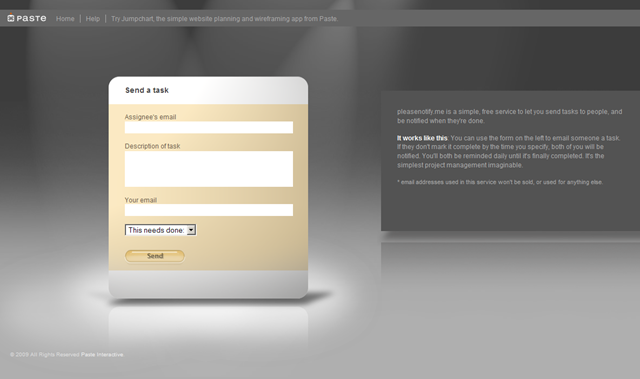 Until the recipient replies that the task is done, the service continues to remind about it daily by sending him an email. 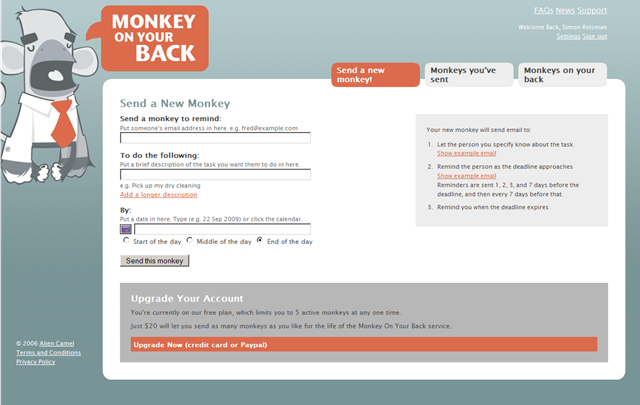 I found two services here: the ultra simple Please notify me (by Paste interactive, really cool firm) and Monkey on your back. Both are easy to use, free and appealing. This is also a group of solution I was amazed anyone actually developed it. All you have is a simple list of categorized tasks. Usually all you can do is update the tasks status. In some solutions you can add a bit of info (target date, for instance). These two last desktop solutions are GTD (Getting Things Done) oriented. At first, I thought that GTD solutions should have a category of their own, but after surveying so many solutions I understand that GTD can be incorporated in a big range of solutions. 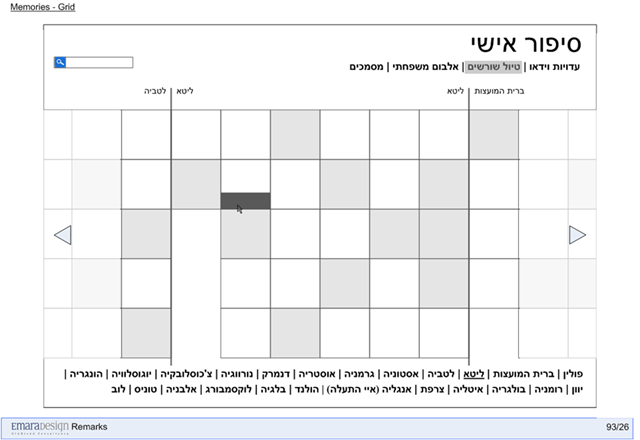 GTD is expressed by it’s own language, pre-defined statuses and task views, but doesn’t define the set of features. This set of solutions support the classic project management capabilities: task and milestone planning against timelines, and resources allocation for each task. Usually these solutions support some progress reporting. To name a few: Milestone Planner (web-based, free), TeamEffect (web-based, paid), Gantter (web-based, free), and GanttProject (desktop, open source). As these are good tool for defined projects, I would not recommend using them for daily task management. So these tools are nice, but they are not very comprehensive, at least according to my needs. This category incorporates the to-do list with some kind of calendar option integral or external (via standard protocols like ical). 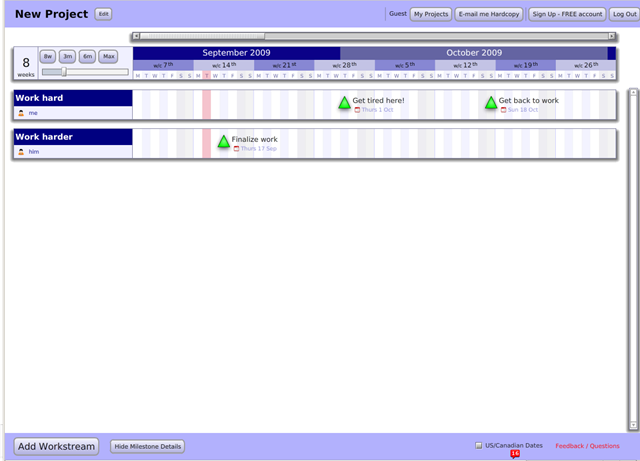 The calendar allows managing tasks by date. It is good for fine-grained daily to-do list. 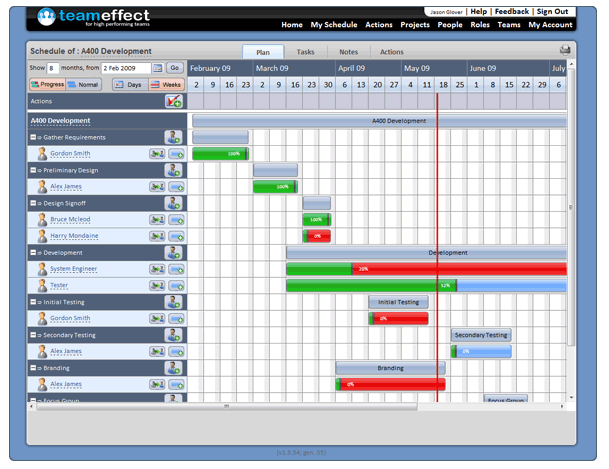 I wouldn’t use it for a long-term project planning (no Gantt view, no resource management). Most of these solutions allow some kind of task and calendar sharing, but they don’t usually support interactive collaboration or even basic communication. Few of these solutions have some kind of document management capabilities and progress reports. The amount of solutions that fall into this category is huge. Could it be because most people need these kind of solutions or maybe they are still simple enough to build? Anyway, here are some applications in this category: reQall, HiTask, Remember the milk, Todolist (Desktop), Tracks, Toodledo, Vitalist, Skoach (unique approach, paid), Chandler Project (Desktop)… and many more. Most of these solutions are free (or have good free account option) and are web-based (I mentioned if otherwise). Some solutions support the GTD methodology. Many web services in this category enhance their solution through desktop and mobile clients. Most of these solutions are nicely done. Though it seems Remember the Milk is the most popular, I found the Toodledo solution much more effective for me (though I would redesign its GUI). This is also a category many services try to solve. It’s pretty close to the Task and Time Management category with a big distinction of collaboration. These solutions have usually discussions, blogs, commenting etc. They also incorporate file management and sharing. Some of them have progress reporting generation and some kind of integration with a calendar (standard protocols) and event management. To name a few in this category: Central Desktop, Teamwork, Manymoon, No Kahuna, Staction (nice concept, by Paste interactive), Verb, Who Does 2.0, Huddle, SantexQ, OnStage, ActionThis, ActionMethod… and many more (Nozbe, Scrybe…). All of these solutions are web-based and have some kind of free account option (usually with limited number of active projects). I found this category very affordable – good features, good UX design… and (in many cases) free. These are the heavy guns. They are comprehensive and they try to tackle the whole problem of project management: tasks, events, time, resources, and file management. They also support collaboration and include some kind of reporting mechanisms. The total solution is sometime based on 3rd party integration (which is paid separately). Some of the solutions in this category are: Basecamp, 5pm, @task, iPlanware, Clarizen, Zoho Projects, Veo Project (Free), daptiv. All the solutions I mentioned are web-based and are not free or have impossible limitations in their free account (except Veo Project). I admit that this was a big turn off for me (I don’t run a business I run 2 hobby projects…). Usually I didn’t have even the motivation to check their trial version. So if anyone had some experience with these tools, please add your 2 cents. Anyway if you start a small business and you need a total solution these seem to be good candidates. By my opinion Veo project was the most affordable – great features, great user experience, and (free up to 5 projects). Unlike the solutions mentioned above it is common enough to find services that try to address only small portion of the productivity problem. For instance, there are many solutions for time tracking. Each solution has it’s unique approach. See: Toggl, SlimTimer, ForceDo, Tick, Klok, gCalTasks gadget. These solutions are free (at least to some extent) and usually incorporate web services and desktop versions. Also some good solutions in the area of file management, sharing and backup can be found. These are really basic services if you want to easily collaborate with others. It seems they are usually designed for different purposes. I’d recommend checking this list: Dropbox, iDrive, SugarSync, and Mozy. All have free accounts up to 2GB. All based on desktop clients and a remote server. All have some webapp to reach the on the web. A different solution is box.net which is totally web-based. These are great tools to share files. I prefer the Dropbox myself. For those who use MS Outlook (most of you don’t have a choice, right?!) there are lot’s of interesting add-ins that can help outlook become a bit more productive and even a bit more fun. If you want to boost up the categories (tags) in Outlook to make some sense and order in your emails, you should try Categorize Plus (has free version), or Taglocity (has free version). 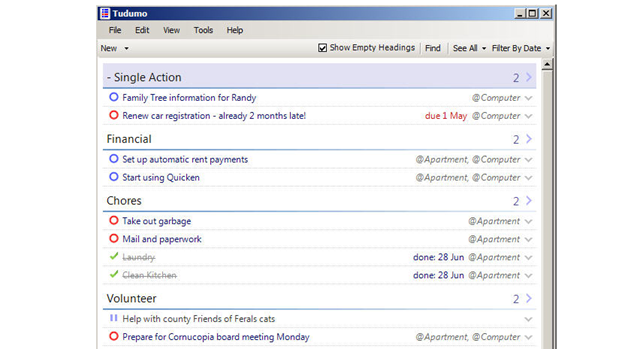 ClearContext is a great solution to manage all your data in Outlook. It takes a more project oriented view of the data, which is by my opinion a good idea (in the personal, free version, you’ve got fewer features). 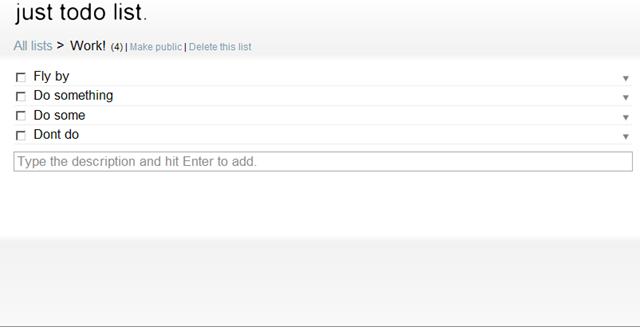 If you want to transform Outlook into a social network you should try Xobni. It’s is a well designed application which is integrated into Outlook and nicely communicates with LinkedIn, Facebook and Skype. Although I’ve mentioned here more than 50(!) products and services, it’s far from sketching the whole picture of productivity tools. There are probably much more than 100 of them… and I suspect the number is growing, because people continue to search for the best solution to become more productive, meaning investing less effort to achieve more… meaning being lazy, right? Next time I will share how I mixed and matched some of these solutions to create my (free) personal management system. I’m not a religious person, so whenever I see people imitating the behavior of a Guru with such a passion, I become very skeptic, even disturbed. I believe in learning from other people, but I also believe that behaviors should be adapted. People are not the same. Everyone has it’s own context that affected his way of life. Our ways of life are not science: There is no “right” model. Even in science there isn’t such a thing. Anyway, I’m glad to share my model of getting things done. It’s a model built on my experience and things I’ve learn and ADAPTED along the way… my advice to you is – read, understand, and adapt it the right way for your context. Mission Management – this is the “starting point” of the model. This is the part in our life when we think about what should we do: our tasks, projects, goals… no matter how you call it – they are all missions. You should manage all your missions – short-term and long-term, your own, your family’s, work missions… I prefer to pack into one big list (the “Projects & Tasks List”). This list will be helpful only if we really use it – update it, prioritize it, and derive your daily tasks from it. Time Management – missions without allocation of time to do them – are just lists. I know only two main concept of managing time. First concept is the fixed timeframe (a week, two weeks, a month). This means your life are cut into constant time slots, cycles or iterations, which you fill with tasks prior the slot starts. I have a weekly plan session, and I place tasks with actual time to work on them in the free slots. This is actually how most agile methodologies work (SCRUM, XP). The other, is the project oriented concept. This concept consists of breaking down the big work into small tasks and connecting them together. This method can build a coherent plan for days, weeks, months or even years. 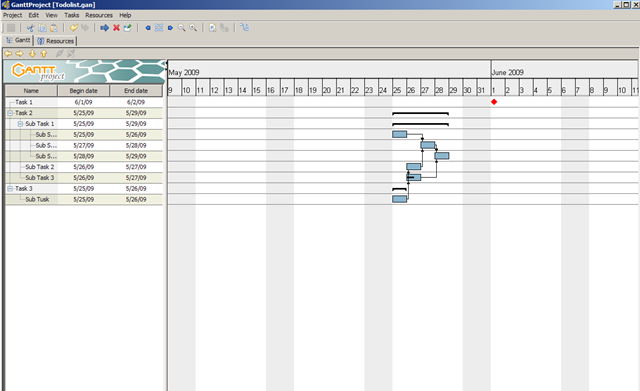 The preferred tool for this concept is some kind of a Gantt editor. Although this is a good way to have a rough estimation of work, I find it hard to really manage my life like that. Working with fixed iterations make it much easier for me. Do – This is actually when we do things: think, decide, create, calculate, produce, etc. 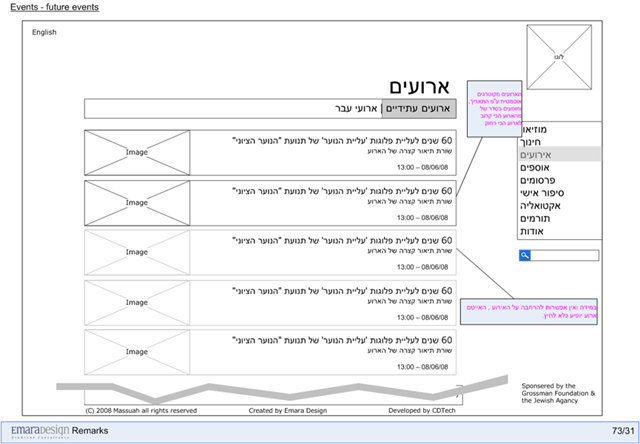 Working on something produces two kinds of information – the product (deliverable) itself (report, slideshow, sketch, schema, etc.) and the thoughts, decisions (and the logic behind the decisions). Unfortunately people rarely document these things, especially when they work alone on a project. It’s important to understand that DOING doesn’t always happen in formal situations. Sometime you think of a great idea related to work when you’re in the bathroom. It may seem this scheme is over-simplified model. but actually it worked for any situation I tried. To answer the obvious question: “what about collaboration?” I can tell that the collaboration and sharing space is really perpendicular to this flat image. Other people, using a model similar to that, are above and under your image, so you have a “stack” of this models. According to this model you can share and collaborate on any issue: You can share, delegate or get tasks and projects from other people, you can invite people to events (meetings), and be invited, or you can manage human resources (in a Gantt). And of course you can share and collaborate in doing stuff: writing collaboratively, documenting what happened (in a blog) and get commented about it, exchange ideas (through emails, instant messengers) and even just talk to people (via phones or software… and face to face). I look at my list of projects and tasks, prioritize it, and decide what will be the next tasks I will deal in the next time frame. I also estimate the time I will need to complete the tasks. According to the time estimated for each task, I look at my future schedule and place my tasks in the calendar. After I get reminded of a task I need to do, I start working on it. The product of this work are documented as the output (slideshow, report, scheme, etc.). I also document thoughts and decisions (blog is a good tool for that). And back to step 1, again. If you’re a knowledge worker – this model covers all the relevant situation of your professional life. What do you think about this model? Do you have any questions? Suggestions? I would like to hear about it. My last month was so chaotic. 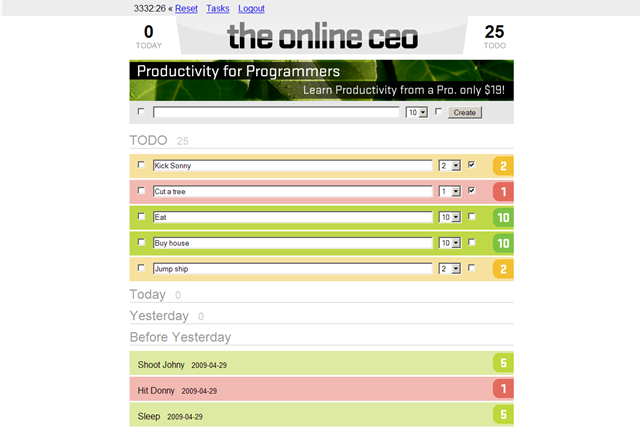 It all started with being unsatisfied with the task management tools I had (I used a Word document, that is very flexible, but is badly integrated with any management tool I have). I’ve started an exploration that went out of control. I’ve spent dozens of hours to find efficient tools, in stead of doing my tasks. By searching a way to become more efficient I’ve been totally inefficient. You can start your personal chaos here http://simplespark.com/, or here http://www.listio.com/web20. The worst thing was that I felt no tools gave me the integration I wanted between my missions, my time, my work products, etc. Finally, I took a grip. I started by writing my model of mission-oriented management. I know there are theories; I also couldn’t miss the buzz about GTD (Getting Things Done). Some people referring to this model even scared me – they were so fanatic about doing things "by the book", I thought another religion was born and I wasn’t informed about it. I’m not very excited about the GTD. I’m pretty happy with my model, and I always learn more methods to improve it. I really don’t want to become a part of the GTD fanatics. I used my model to map the gaps – the places I’m not satisfied with the solution I have. Only than, armed with clear requirements, I went back to check the tools and applications. I decided to advance slowly and document the tools I check. To make sense in all of it, I prepared a feature table and mapped them all… well most of them. Sure, it took more time, but I felt in control of the process. The great thing is that after mapping the tools I could find patterns, resemblances between some of the tools. I found distinct categories. So from a chaotic exploration it became rather organized research. Never the less, at the end of the process I was pretty tired of checking applications. As a UX designer this is not a good thing… The main reason I decided to write a post about it, was my desire to finish what I started, to document the knowledge for myself, and share it with other people who search for software solutions to manage themselves and others better. Otherwise, all the hours I spent in the exploration would be a big waste of time. Later I will post my mission-oriented management model, and the things I’ve learnt about the applications in this area. Finally, I will describe my own tool setting. The last weekend I attended the Global Game Jam 2009. I didn’t know what to expect as it was the first time it happens in Israel (and it was the first time the event took place all over the world at the same time). We got together at the GarageGeeks (my first time) in Holon (although the organizers of the GGJ 2009 insisted on calling it Tel Aviv). We were about 60 people so it was crowdy, yet cozy. After a short brief, we got about 10 minutes to think of new concept for a game. Anyone who wanted, just stood up and told about his idea. After this phase, the teams was created spontanously. 2. Game’s lenght is less than 5 min. One player controls a sleepless old lady called Gravema, while Zombat, a blood sucking zombie vampire is controlled by the other player. This concepts was originated during a talk between me and Ivan (who is an Art Designer and more). Later on, we succeeded in convincing Benny, an amazing programmer, to join us. Ivan brought reinforcement named Daniil who is also a gread visual artist and sound designer too. We were 4 which is a small team, but these guys (which I meant the first time on that day) were just amazing. So after 36 hours we finished the game. We used 4 more hours later before we submitted the game to the Global Game Jam website: http://globalgamejam.org/games/gravema . This means we developed the game in 40 hours! I think this is really an achievement. This is us – presenting the game the first time in public. The experience was very intense. It was a good practice for our creativity. During this event dozens of games were developed worldwide. In Israel alone 11 games were devloped at the end of the 48 hours. My personal favorite is Starry Starry Nights (http://globalgamejam.org/games/starry-starry-night): innovative concept, new experience, almost artistic. This event brought many thoughts and ideas, but I’m too tired to write them down now. Do you have a great idea, but you’re afraid to take the risk and leave your job? You like what you’re doing, but you search for fun activity with a bunch of nice people? You’re searching for another way to practice your creativity or your leadership skills? What the hell… it doesn’t matter. Just set a mission. Commit to it. And have fun. It’s a hobby project! What? What about ‘a great idea’? Could I forget this ingredient? Usually people think the first thing you need is a great idea in order to start a project. I disagree. The first thing you need is a great team. If you have a group of self-motivated, talented people, you don’t need an idea. The ideas will come on your first brainstorm meeting. Even better, when people conceive the idea together they are more committed to its goal. I always search for new candidates. I always think: “is that guy I just met could fit into the team”? I gathered a team of guys I already worked with in the past. I knew their skills, and I knew I could trust them. Only than we started brainstorming for ideas. Our main focus was – how do we leverage our knowledge and transform it into innovative and exciting products? After few brainstorm sessions we had more than 50 (!) ideas. Even after filtering we had almost 10 really good ones. Eventually we had to choose one idea to start with. We chose the easiest… small wins is always better than big losses. One of the challenges is to keep your team motivated. After all, it’s a hobby project. There’s no investment, no budget. Everybody are a part of that project only for the ride. Of course you can promise that they will be rewarded right after the big success… I prefer to talk about the journey itself. No fake promises. Just the truth: we’re here for fun, for the learning experience and for the chance that someday our idea will become a product people will love. That’s all. It’s a very delicate relationship. You must find the balance between a productive and manageable workflow, and a mild workload. Very easily the hobby project may become a second job. If your team members do it on their spare time, you must be tolerant to timetables, to meetings being postponed, to team members not showing up. Still you need to know when to cut things. Too tolerant – and your team will break a part. We found the balance in 5 hrs of work every week. This sounds very reasonable. Just an hour a day… less than the time needed to go to the gym. We have a sync meeting every 3 weeks. Usually it happens as we planned. We do it even if 2-3 team members are missing. It’s almost impossible to have everybody at the same time every time. Usually we have more than 80% attendance. I recommend making the meetings a fun get together. After all, people are doing it for the sake of the idea, not for the money. Order a Pizza, bring the Playstation, you name it… invest in fun. If you succeed in that – nobody will miss a meeting. I believe in sharing knowledge and collaborative creation of ideas. So whenever I can, I conduct a brainstorm sessions. There might be some specialist in your team (technology, marketing), but it will be less fun if every specialist would only do his chores. So on big issues – brainstorm. That way everyone can influence the project. This is a great opportunity to learn new things. The key is to do it right. Too many times I was engaged in bla bla discussion meetings titled “brainstorm”. To conduct a good brainstorm you need to have a specific mindset and keep few (simple) rules. I found this article comprehensive yet simple. After you read it, you will be able to conduct a productive brainstorm session. Now the meeting is over – a good summary is essential. Wait, aren’t we talking about a hobby? I know it sounds almost like work… But the commitment needed in this project is not different than any other reasonable hobby: going to the gym 2-3 (or more) times a week, managing your band, etc. So, if you want the project to work, you need everybody in sync. I use the simplest way – send an email of a meeting summary + tasks. I also recommend you to do it yourself. Most of your team members produce, create and innovate. Don’t bother them with project management. This is a simple rule. It’s true in every project. It’s very important in a hobby project. When people contribute only few hours a week, your pace is really slow. So you’ve got to think of achievable goals, quick wins. Don’t stay in the design stage too long. It might take ages. When you know enough about the core of the project, start developing it. Short sprints: the time between our sync meetings. Usually 3 weeks. Deliver working software frequently: We have a working application in every meeting. Usually even in between. The team acts as an Effective Social Network: This is easy – we’re all friends, not co-workers. Working alone isn’t much fun. So if you have enough team members – break them into small sub-teams. It seems to work better for us. Nowadays we have marketing team, product design team, and development team. But it will change. At first we didn’t have the marketing team, but we had a website design team. We changed it as the focus changed. The lesson here – people are flexible. So don’t be afraid to reshuffle. It gives them an opportunity to change roles, try new things. That covers the first two points. I wonder if anyone has some good advice here. We’re always ready to get a good advice and update our work processes. Next time I will talk about tools to enhance your project and some qualities you should have in order to achieve your goals.